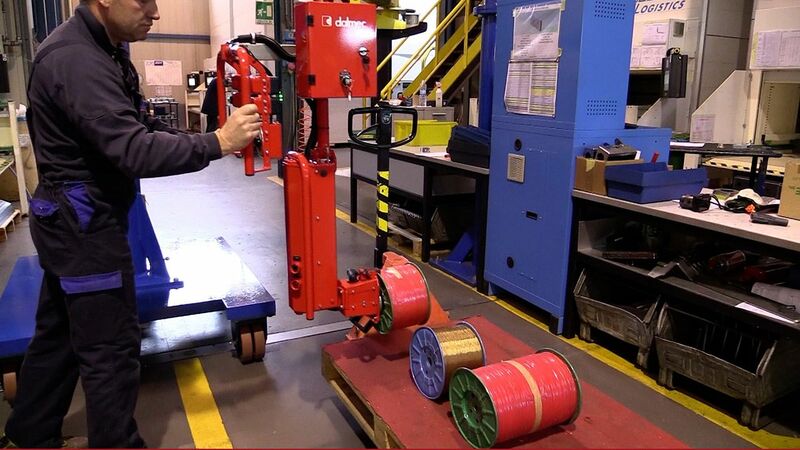 Lifting device Micropartner MIC mounted on a portable baseplate for pallet truck, equipped with a custom-built tooling for lifting wire reels. The gripping system with interchangeable expanding mandrel allows to lift reels of different sizes, a special device prevents the sliding out of the reel during the inclination phase. 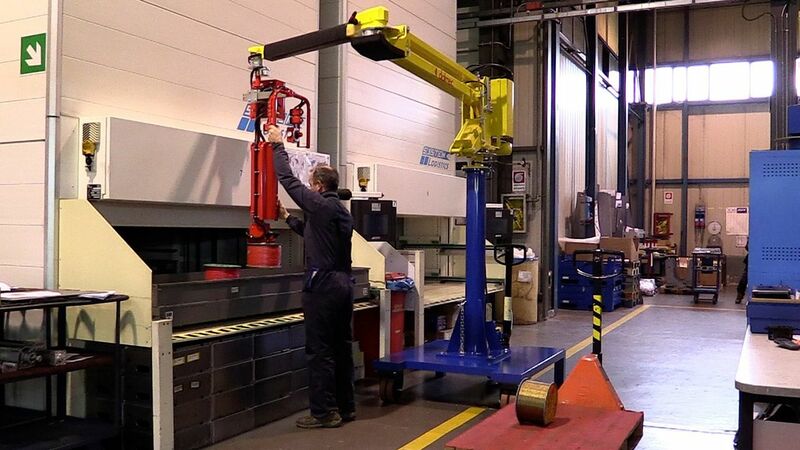 The multi-position controls allow the operator to position the reel at great heights. 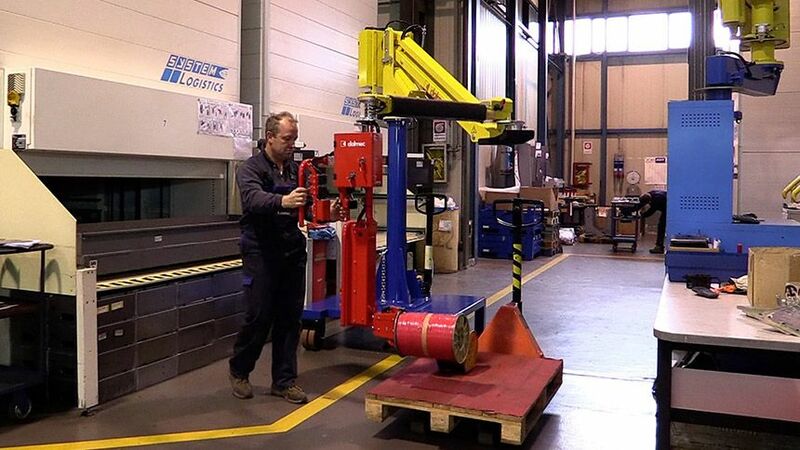 With the portable baseplate, the manipulator can be moved in more workplaces. The front wheels are hydraulically lowerable.